Challenging the traffic stop — did the police have probable cause to stop you? Challenging the validity of the BAC results — was the Breathalyzer properly calibrated? Challenging the validity of the BAC results — was the Breathalyzer properly maintained? Was the officer who stopped you properly trained in field sobriety testing? Was there a raising blood alcohol reading and thus a legitimate defense? Was the officer who tested your breath properly trained in operating the machine? Do not wait to secure the defense you deserve. At Fiumara & Milligan Law, PC our attorneys are committed to fighting for our clients to help them secure the best possible resolution to the DUI charges they face. We are skilled at crafting highly effective defense strategies that help our clients avoid conviction and consequences such as jail, fines, loss of driving privileges and long-term increases in insurance rates. We understand what is at stake for our clients, and we examine every potential means of building the best defense. When DUI charges are threatening your driving privileges, we can help. 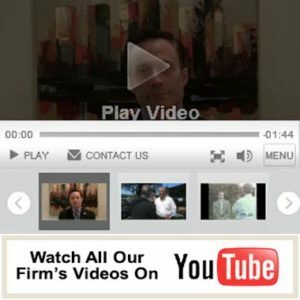 Turn to the skilled and experienced lawyers of Fiumara & Milligan Law, PC. To schedule a free initial consultation, call 707-571-8600 OR 415-492-4507 or contact us online.